Intel’s i9 9900K has been briefly spotted in the wild over at Amazon. 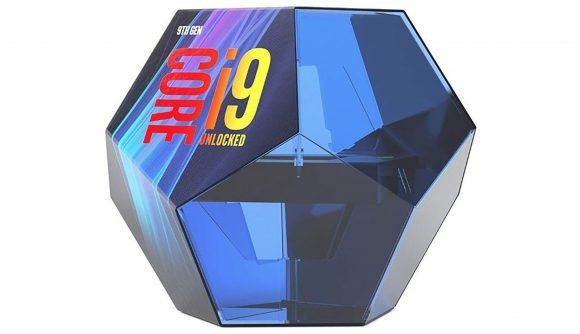 The eight-core processor was listed on the retailer with translucent dodecahedron packaging reminiscent of a Destiny engram – albeit a blue ‘rare’ one. It’s definitely a step up from the usual slim cardboard box Intel usually opt for, but will it be worth a whopping $583? That’s what retail giant Amazon has the eight-core / 16-thread i9 9900K CPU priced at, although that doesn’t line up with previous listings we’ve seen in the last few weeks. 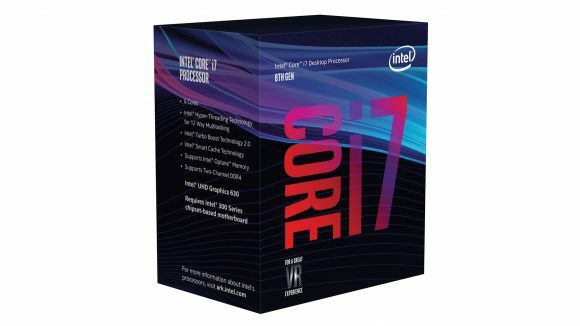 Delidding and binning retailer Silicon Lottery listed a boxed i9 9900K for $480, which aligns with pricing we initially expected for Intel’s upcoming i9 processor. If this pricing were true, Intel would be in a rather uncomfortable position against AMD’s Ryzen and Threadripper HEDT chips. Even if this chip were able to offer the best single-threaded and multithreaded performance on the market in one package, that’s an exceptionally tall price tag for potential customers to stomach. It’s also pricing itself way outside of the usual mainstream market’s upper limits. The listing, first spotted by a serial leaker momomo_us and subsequently confirmed by Tom’s Hardware, has since vanished. Similarly, the Silicon Lottery i9 9900K listing spotted last week also had its pricing removed shortly after the story got out. Intel’s i9 9900K is expected to launch this month, with availability, according to Silicon Lottery’s updated listing, on October 26. This chip will be joined by, at least, Intel’s i7 9700K, an eight-core / eight-thread CPU. There have been rumours of other CPUs, such as the i5 9600K, launching at this time, too. However, with a 14nm shortage affecting supply, and Intel’s reported focus on high-performance chips for the time being, that might mean we don’t see a full 9000-series lineup until next year. With pricing rather up in air right now, we still expect Intel’s i9 to fall closer to $480 than to $580 – even with the rather baroque packaging. Despite Intel’s 14nm manufacturing woes leaving demand outstripping supply, the i9’s price point, as set by Intel, seems far too much to ask in the face of AMD’s Ryzen and Threadripper CPU lineup. There’s a chance, however, that prices might skyrocket if supply is tight at launch.